1500W Powerful Motor+Stainless Steel 6-Blade: The sharp blades can rev up to 28000 RPM to breaks down and pulverizes all ingredients effortlessly,release maximum vitamin and nutrient,to satisfy all your needs with just one blender. 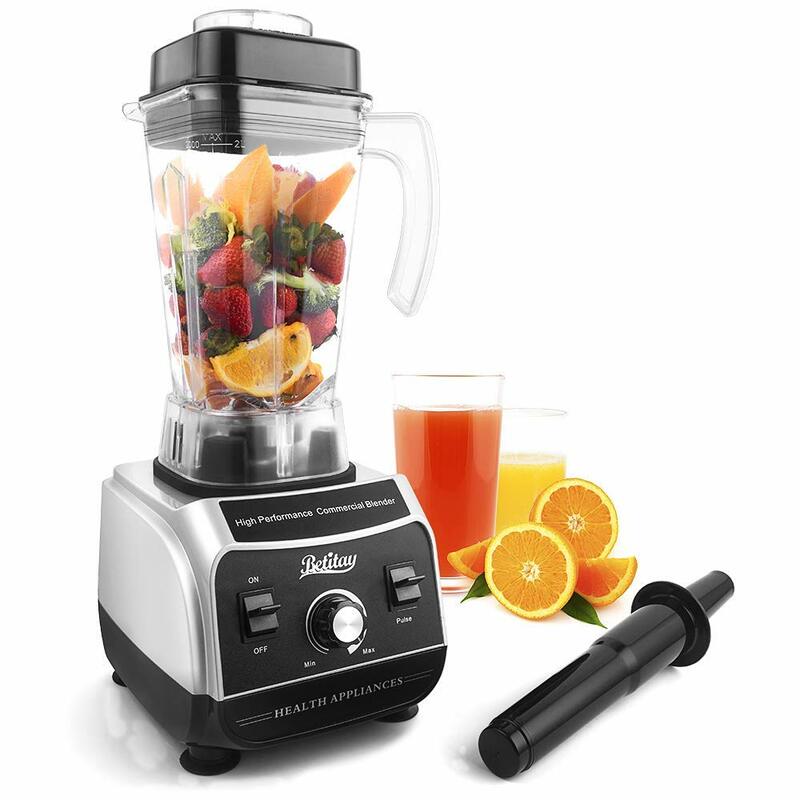 Variable Speed Control + Pulse Function: Our smoothie blender can be easily to adjust speed to achieve a variety of textures.For speed control knob,the dial can be rotated at any point during operation,ideal for smoothies,shakes,sauces,soups,vegetables,nuts.You can use PULSE feature to crush ice quickly for frozen drinks and cocktail. Family-Sized Design: 68OZ(8 Cups?high-capacity pitcher ideal for a family or more than one guest.The jar is made from impact-resistant and BPA-FREE plastic,come with a full lid as well as a handy removable filler cap(2OZ) to add extra ingredients.Includes a tamper which can be used to mix food totally and unclog cross blade.